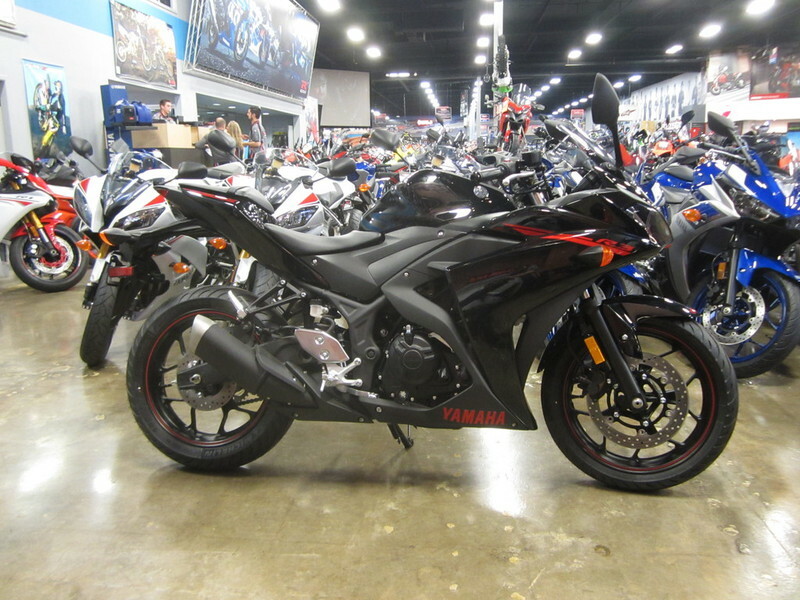 2015 YAMAHA YZF-R3.....(Similar Units) NINJA 300 390 DUKE RC 390, CLICK HERE For Factory Promotions. 2015 Yamaha YZF-R3 Welcome to R World The all-new R3 features class-leading performance and legendary Yamaha superbike styling. Features may include: Large 321cc twin-cylinder engine offers excellent performance whether navigating cross-town traffic, hitting the twisties, or on the racetrack. Yamaha supersport inspired styling with a full fairing in a chassis that makes it perfect for first time riders or experienced riders who prefer a lightweight, nimble machine. Forged pistons just like the R1 and R6 are both lightweight and provide strength while the offset cylinders reduce friction for more power. The YZF-R3 offers a riding position that is very comfortable and the clip-on handlebars deliver a sporty rider position. With a seat height of only 30.7 inches and a flat seat design on the YZF-R3, it s easy to get both feet firmly on the ground and inspire confidence, especially for beginner riders. Three beautiful livery options are available which means there is a color choice that is right for you. All Yamaha pictures are kind of Yamaha HD motorcycles picture was taken, including motor fuel gauge, engine, engine mounts, tires, fuel tank, the car handles, lights and so on, 2015 Yamaha YZF-R3.....(Similar Units) NINJA 300 390 full-screen viewing,2015 Yamaha Motorcycles today Price: $3,940 .